Eagle's Nest Baptist Ministries is a counseling and restoration ministry to churches and families. It currently houses our Practical Missions Training Center, an industrial arts and construction training program for missionaries, church planters, and others who seek training in some of the practical skills that ministry work often requires. 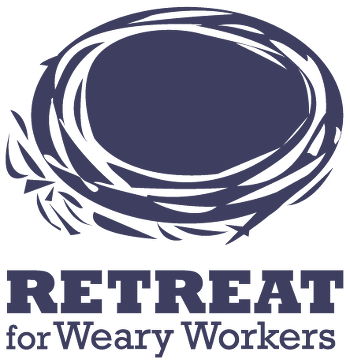 Coming soon will be our Retreat for Weary Workers, a conference and retreat center for burned-out Christian workers who need a place to rest and reconnect. Our 13,000-square-foot facility consists of two stories. The downstairs contains a commercial kitchen as well as offices and dorm space. The upstairs is well along in the construction process. It will contain guest housing and meeting space. The building sits on 29 acres in a beautiful little canyon facing mountain peaks which rise to over 12,000 feet. The building has thus far been built with donations from churches and individuals along with volunteer labor. The intention from the beginning was to build the facility totally debt free, which is the current reality. Please visit our Facebook page to keep updated on construction progress, needs we may have, provision for those needs, and more! Of course the best way to see all of this is to personally come and be a part of the labor force God is using to move us to completion. We also would appreciate your financial investment in this endeavor. In these financially troubled times, we have been very heartened by the response of God’s people. Opportunities to donate can be found at the bottom of this page. We invite you to be a part of this worthy effort! The important work of missions is spiritual, but a big part of it is practical. Our training center provides instruction in such areas as construction, basic plumbing, automobile maintenance and repair, basic electrical wiring, and resourcefulness with God's money. The spiritual battles that face full-time Christian workers can be intense. We offer a clean, quiet, comfortable place to rest, renew spiritually and physically, and strengthen family bonds.